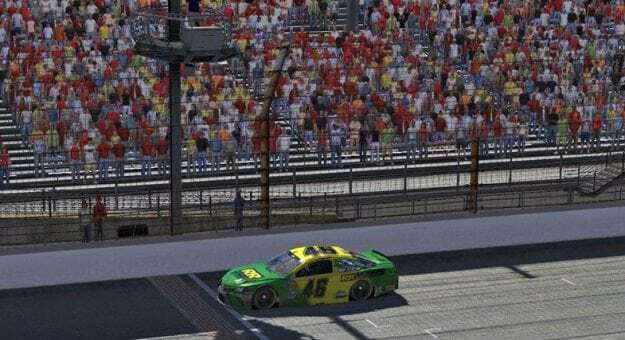 Logan Clampitt crosses the yard of bricks, scoring his first win of 2018. Logan Clampitt survived late-race restarts to win at Indianapolis Motor Speedway. 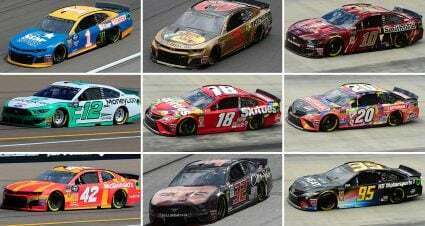 This was Clampitt’s first NASCAR PEAK Antifreeze Series victory since 2016. The 2017 championship runner-up started sixteenth but climbed his way into the top five by the halfway point. He took the lead for the first time with 31 laps to go and led all but three of the remaining laps. Six cautions slowed the pace during the last 50 laps. This set up a nine-lap shootout. 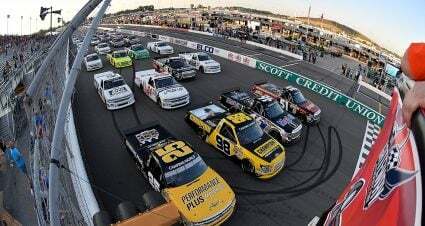 The last restart had Clampitt jump out to the lead, but Zack Novak was close behind. However, Novak didn’t have enough to pass Clampitt. Ryan Luza finished third after overcoming a speeding penalty in the pits on Lap 33. Polesitter Brad Davies finished fourth and Brian Schoenburg continued his strong second-half performance with a fifth-place result. Davies managed to lead four laps at the start but was quickly overtaken by Luza’s speed early on. While Luza built a gap early last race’s winner Michael Conti showed he was the car to beat on the long run. He quickly rose from seventh on the grid to take the lead from Luza on Lap 22. Conti would go on to build a gap before pitting for routine service on Lap 33. Luza’s pit road penalty briefly had him losing a lap before passing Conti back on Lap 39. Conti’s lead was erased on Lap 42 when Alex Bergeron spun, bringing out the first caution flag of the event. The yellow allowed Luza to catch up to the pack and brought the field to pit road. Conti’s pit road issues dropped him to seventh on the restart with Davies reassuming the point. Michael Conti (#5) and Ryan Luza (#6) dominated early before trouble derailed both of their days. Disaster then struck Conti one corner after the restart when Nick Ottinger spun directly in front of him. Conti had no place to go but into the side of Ottinger’s car. The incident caused serious damage to the nose of his car. 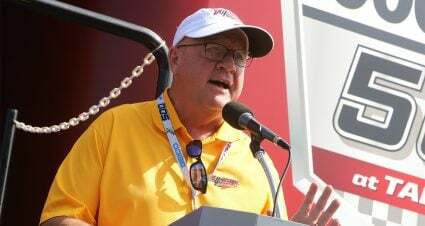 Conti would nurse his crippled car home in sixteenth, but no harm was done in his quest for a second championship as his win last race at Darlington locked him into the final four. Meanwhile at the front, Davies looked to take control of the race with Conti and Luza out of the picture. He continued to lead unchallenged until Lap 66 when he came to pit and change all four tires under caution. With two cars staying out, three changing two tires, and Clampitt having a better pit stop, Davies would restart seventh with 32 laps to go. When the green flew again Clampitt had his eyes set on the lead. By the backstretch he had already climbed from fifth to third as he made use of his four fresh tires. He then easily moved past Schoenburg in Turn Three, leaving only Brandon Pipgrass in the lead. Pipgrass, on old tires, never had a chance as Clampitt drew alongside down the front stretch. As the pair raced into Turn One, Clampitt made slight contact, sending Pipgrass sliding up and out of contention. 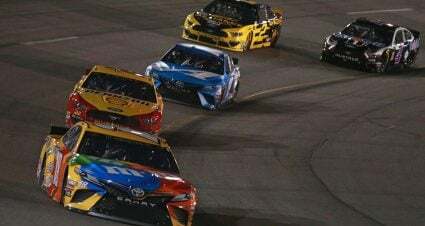 From that point forward the only real threat Clampitt faced was the Lap 83 restart after Blake Reynolds and Ray Alfalla stayed on the track with their damaged cars while the rest of the field pitted for tires. Clampitt passed both immediately and not a moment too soon. A melee broke out in Turn Two when Marcus Richardson and Alfalla got together, sparking a multi-car incident. With two races remaining until the final four is set, three positions are still up for grabs since a playoff driver did not win at Indy. With Conti already locked in, Luza in the best position of the remaining seven. He sits 28 points clear of fifth and, with four wins, is a threat into the final race. Behind Luza, things are much tighter. Matt Bussa and Ray Alfalla currently hold third and fourth respectively. Keegan Leahy is finds himself on the outside looking in after Indy but has three wins this season. He and Luza are the only multi-race winners thus far in 2018. Ottinger, Bobby Zalenski, and Nickolas Shelton occupy the sixth through eighth positions and all will need stellar runs combined with misfortune of others if they hope to transfer without winning. 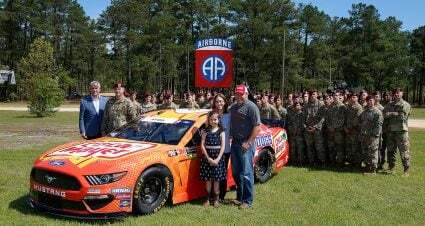 However, all three have won a race in 2018. It would not be much of a surprise to see any one of the bottom four lock themselves in with a win. 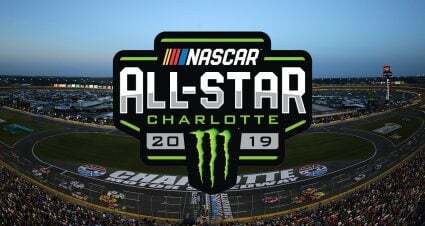 The NASCAR PEAK Antifreeze Series moves onto Atlanta Motor Speedway on as only three races remain in 2018. Atlanta’s worn surface usually leads to multiple grooves with tire management being paramount. Luza and Conti have been the cars to beat this past month. 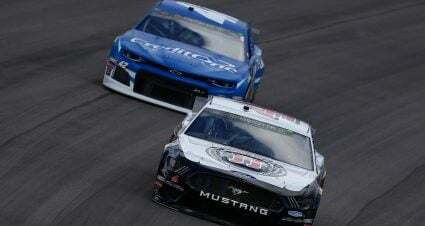 Misfortune kept both out of victory lane at Indianapolis. Can either rebound or will another playoff driver lock themselves into the final four? 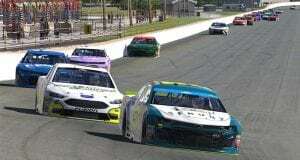 Be sure to watch the dramatic conclusion of the 2018 NASCAR PEAK Antifreeze Series on iRacing Live!